This just in – With the government now open, John Heinz National Wildlife Refuge is BACK IN BUSINESS! Yes, folks, my favorite hangout is up and running. The recent government shutdown followed immediately on the heels of my two weeks at the Shore, and I found myself away from Heinz for nearly five weeks. 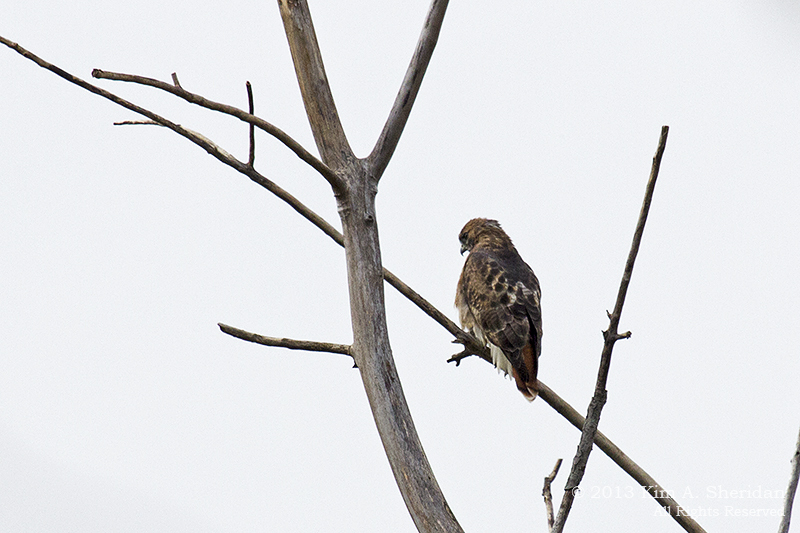 So it was with eager anticipation that I returned for a bird walk this weekend. Would the Refuge look much different? 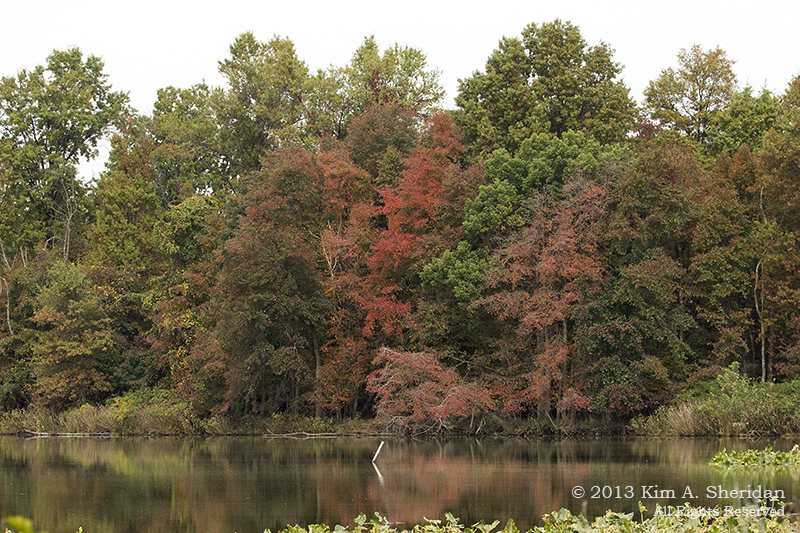 Would there be any fall color showing yet? What birds would be out and about? Would there be interesting things to see? The Refuge rarely disappoints, particularly after so long away. Here are some ordinary images of ordinary birds on an ordinary Saturday at Heinz that was somehow anything but ordinary. 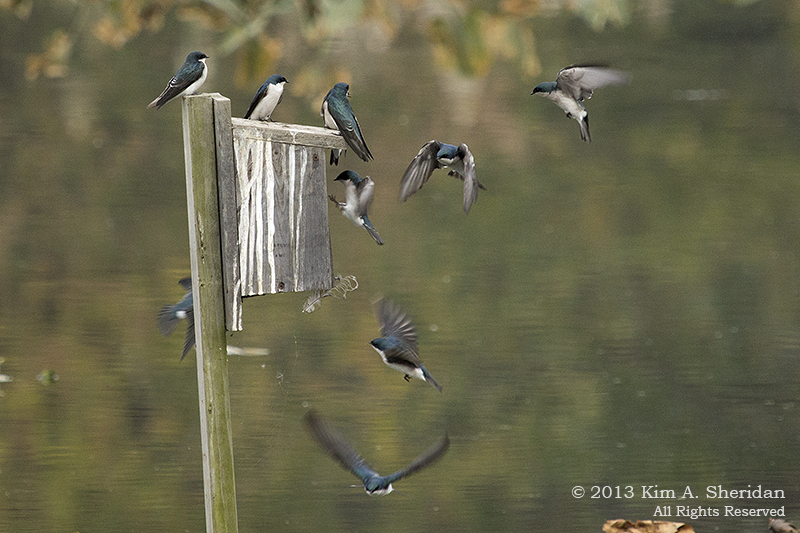 Tree Swallows are here in large numbers. 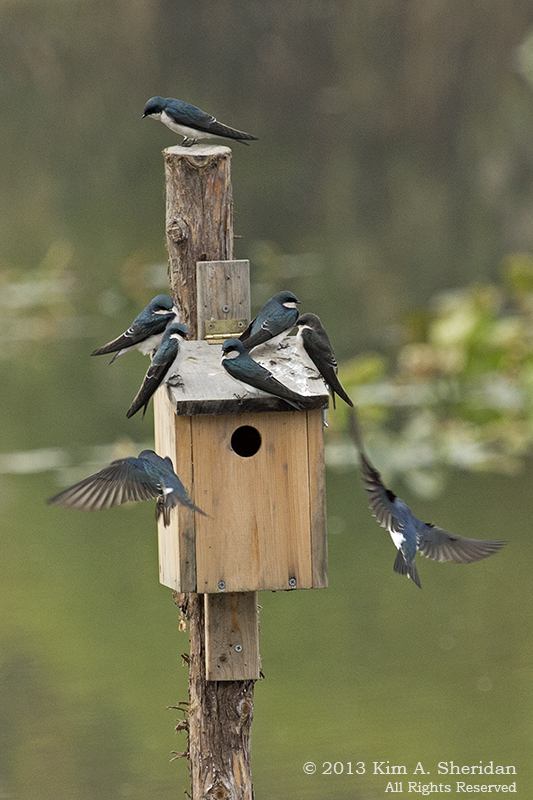 They were busily quarreling over a number of nest boxes, even though it isn’t nesting season. We think there might be insect nests inside, and that’s what’s causing the chaos. It’s fascinating to watch the way Nature changes through the seasons. 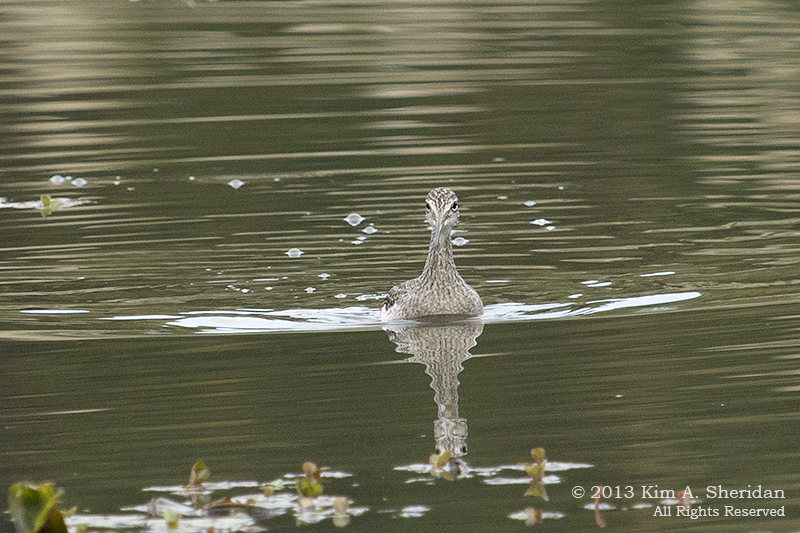 Every naturalist should have a place they go frequently throughout the year, and Heinz NWR is that place for me. Last October I took my first guided bird walk here, led by Mary Ellen, and the most prominent bird was the Yellow-rumped Warbler. How fitting that exactly a year later, I should go on another of Mary Ellen’s walks, and Yellow-rumps would again dominate the walk. I have now come full circle! FUN FACT: Phenology: the study of the timing of recurring events in the life-cycles of plants and animals. For instance, the flowering of trees, the birth of baby animals, migration, hibernation; all recur from year to year. 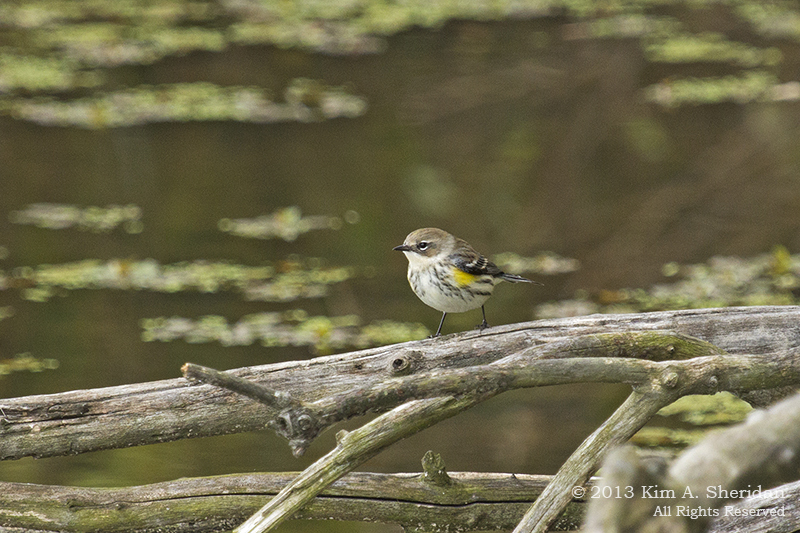 Yellow-rumped warblers migrate through Heinz in mid-October. These events are influenced by seasonal changes and their timing may be altered by climate change. If a plant blooms weeks earlier than in the past due to a warmer climate, the insects and birds that depend on it may arrive too late to take advantage of it. And if you’re allergic to it, you may start sneezing a lot earlier! 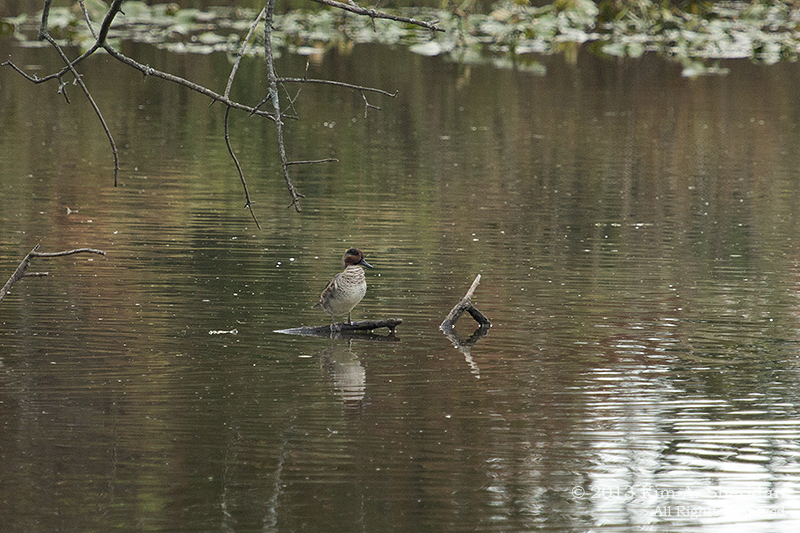 Green-winged Teal, one of six species of ducks we saw. 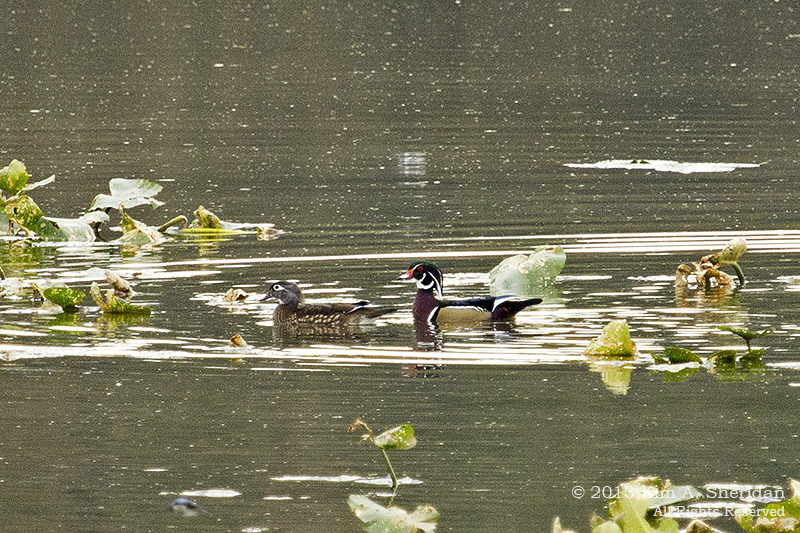 Here’s a duck I’ve been trying to photograph in breeding plumage since the spring – Wood Duck. This is the closest I’ve gotten so far, and they’re not very close. But they are spectacular. 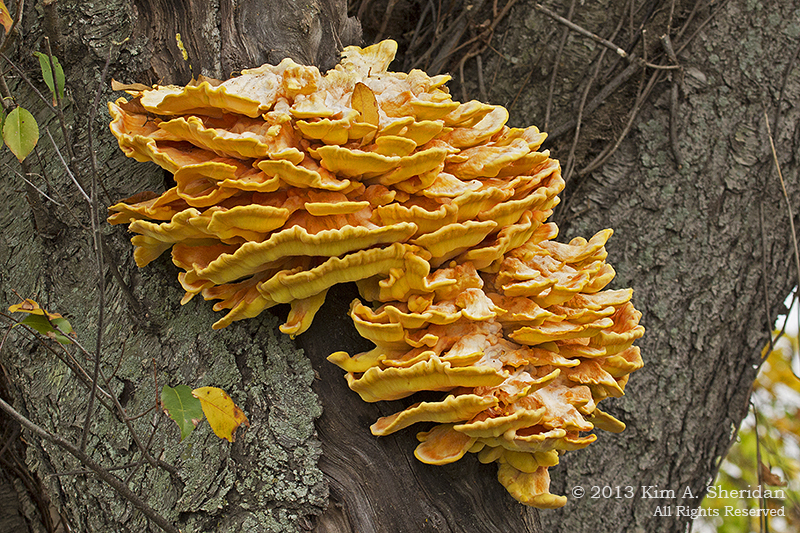 I am told that this strange apparition is a Chicken Fungus, that it’s edible, and furthermore that it tastes like – chicken. I didn’t try it. 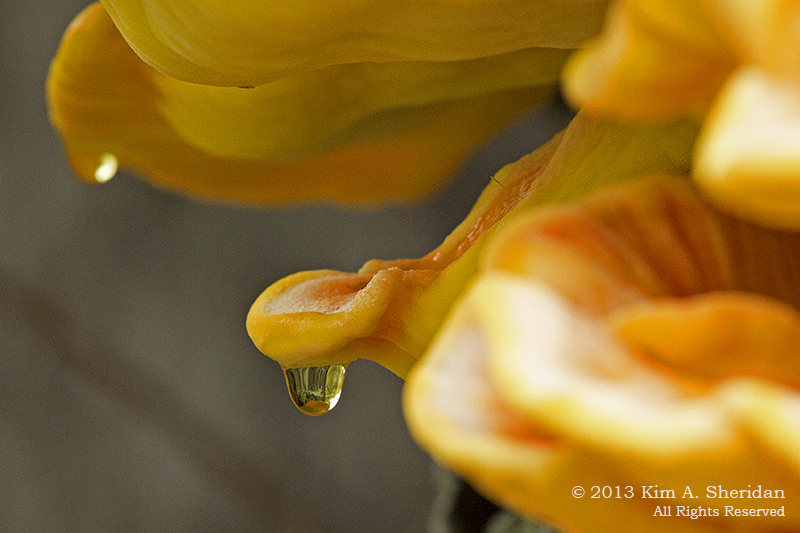 And with good reason – there are a lot of toxic fungi out there. Best to just admire them for their looks, and leave the taste-testing to the experts. Which I definitely am not. 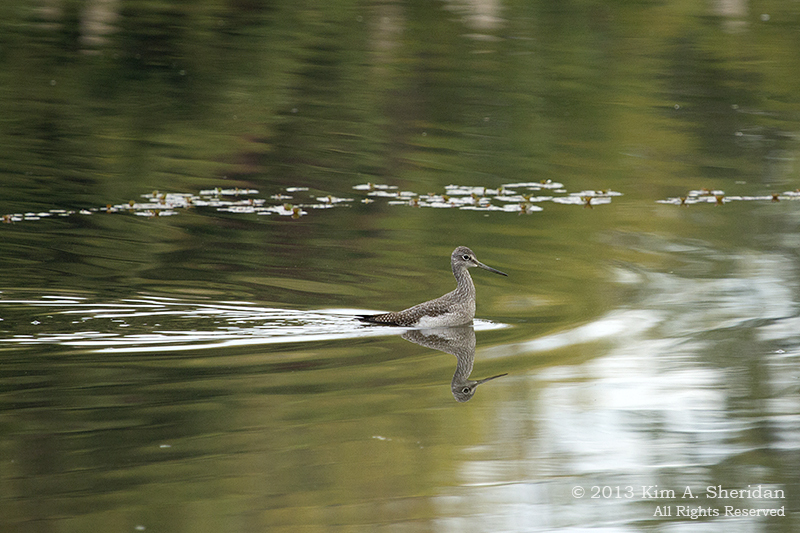 This entry was posted in Nature and tagged Birds, John Heinz National Wildlife Refuge, Nature, Wildlife by Kim. Bookmark the permalink.